BULAN, Sorsogon, November 14, 2016 (Bicol Standard) — The Department of Interior and Local Government (DILG), through Regional Director Elouisa Pastor, has implemented earlier this week the decision of the Office of the Ombudsman finding respondents Mayor Helen C. De Castro and Engr. Toby C. Gonzales, Jr. guilty of Grave Misconduct. The Order reads: “They are hereby meted the penalty of dismissal from the service with cancellation of eligibility, forfeiture of retirement benefits, perpetual disqualifications from holding public office and bar from taking civil service examination pursuant to Section 10, Rule III, Administrative Order No. 07, as amended by Administrative Order No. 17, in relation to Section 25 of Republic Act No. 6770. “The construction of the bus terminal was excessive by 6,968,937.18 above the COA estimated cost of Php26,015,762.82,” the decision reads. 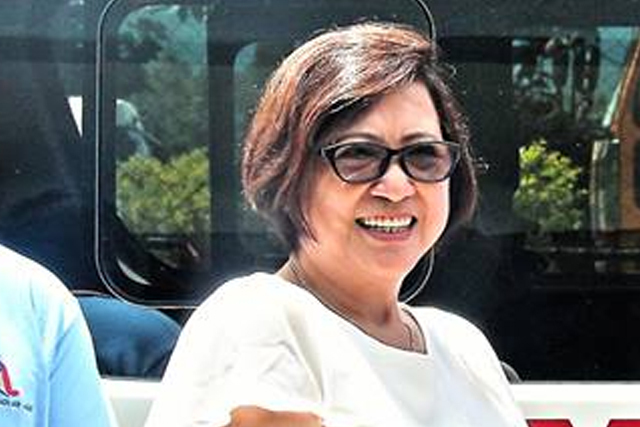 The Office of the Ombudsman said it found substantial evidence to hold De Castro and Gonzales, Jr. liable for Grave Misconduct. Meanwhile, the complaint for Conduct Prejudicial to the Best Interest of the Service, Grave Abuse of Authority, Serious Dishonesty, and Grave Misconduct against respondents Dennis H. Dino, Rodosendo A. Razo, Jr., Sonia G. Revilla, Liza L. Hollon, Carmencita S. Morata, Orencio Luzuriaga was dismissed for lack of merit. I went to research the paintings in this seminary (please see previous story). 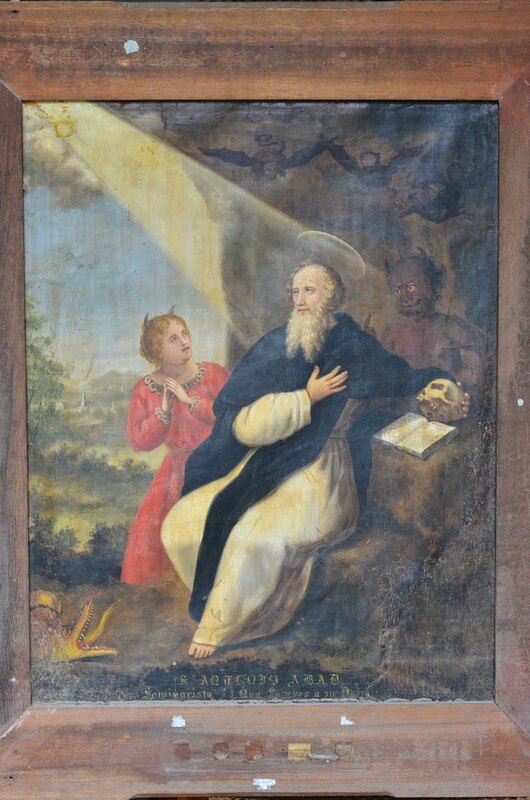 There is this very old religious painting, nearly 150 years old, of St. Anthony, The Abbot. This painting is said to be the work of Mariano Asuncion, El Menor (that ‘Junior’ for you 21st century people!) ca. 1865. But the painter’s signature and date cannot easily be seen in this oil-work. The painting I saw was partly restored yet more has to be done as the back of the canvas was nearly covered in molds. We placed the painting on a chair fronting an open window since we cannot take any photo with flash bulb. We first took a photo of the painting then the back part to document the condition of the canvas. I was interested of the parts where the restoration was done, we then took the photo of the painting with its back on the light-source: daylight. Now here is the tickler, when we got home to my parents’ house, I showed the photos to my sister, while we were intently looking at the 2nd photo, we noticed that more images of evils, elementals have appeared. And this 2nd picture shows about, as of last count, there are 6 more ‘evil-looking’ entities on the painting. There is even 1 more that seemed to have appeared on the back of the canvas!! From the front the painter has painted 7 including the yellow crocodile and the blond woman. The ‘tikbalang’ is more like a shadow but the figure of a horse still appears. Anyway, we think there are 6 more in the ‘shadows’ plus the one at the back!! One can only surmise what was going on to the painter while this painting was being painted! That question wasnt raised by me, but of the person very much familiar to the painting. I had the same thought, mind you. If you are not convinced about my ‘superstitious’ findings (and not scholarly, mind you! So I hope I am excused by all scholars and academicians, esp. by my professor) I hope you will indulge me. Its just the ‘gossipy’ side of me thinking of these things. So judge for yourself! Happy Halloween!